Botox use in Bruxism and TMJ Disorders. Botox is a neurotoxin derived from the bacterium Clostridium botulinum. When injected in tiny doses into targeted areas, it can block signals between nerves and muscles, causing the muscles to relax. That’s how it smooths wrinkles: when you immobilize the muscles that surround fine lines, those lines are less likely to move making them less noticeable. Dr. Truong has rebuilt smile using veneers, crowns, implants, All- on- 4 fixed bridge but sometimes his patients wanted more. Some patients wanted to fix their age lines or a lack of fullness in the lips or a gummy smile so Bliss Dental Arts decided to take the next step. Dr. Truong is an artist with your teeth and now you can combine that art with a beautiful frame for an amazing result! 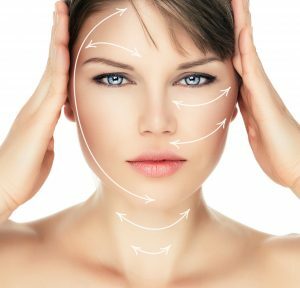 Bliss Dental Arts offers cosmetic and therapeutic Botox services and Dermal Fillers. These treatments help soften fine lines, frown lines, and the crow’s-feet that come with aging. They can give you fuller lips and less wrinkles around the mouth. Treatments take only a few minutes and leave you feeling and looking great! BOTOX is a safe alternative treatment for most people who experience jaw tension or TMJ disorder. This treatment helps to alleviate pain from many joint and muscle spasms associated with TMJ. Bruxism is a specific condition in which people grind or clench their teeth ( most do so involuntarily). Grinding and clenching causes the muscle to grow stronger, therefore resulting in headaches, earaches or facial pain, which worsen with time. BOTOX relaxes the jaw muscle sufficiently to reduce grinding symptoms while maintaining normal jaw and teeth action. At Bliss Dental, we are happy to provide Dental therapeutic treatments using Botox for Jaw tensions. Most patients experience noticeable improvement within 1-2 days of their first treatment, although relief can take up to a week. Results last 3-4 month. attributable to over-contraction of the upper lip muscles. Botox is used to limit muscular over-contraction of upper lip, thus reducing exposure of the upper gums when smiling. This improvement is temporary and must be repeated every six months to one year.